Idaho is known for it's mountainous landscape so it only makes sense there would be good skiing. 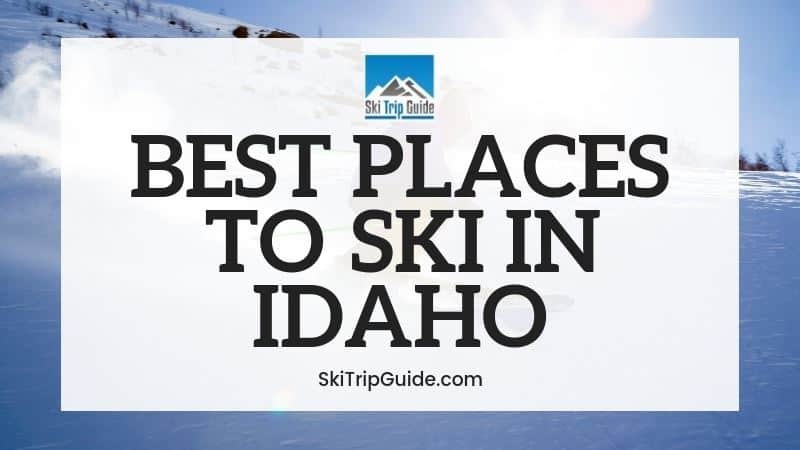 Yet, Idaho doesn't typically top the list of places to go when you think skiing. This works to every skiers advantage by keeping lift lines low and slopes uncrowded. If you're a beginner looking to make your first trip in Idaho, here is a list of resorts you need to check out. Brundage Mountain Resort is centrally located in McCall and boasts some of the best snow in Idaho. While only 20% of their trails are novice, there is one big reason to still consider skiing her as a beginner: free skiing! You don't need a lift ticket until you are ready to ride a chair lift. Spend the day in Easy Street, their learning area, and ride the magic carpet all day. It's a great way to save some money while you are learning. They may only have 9 green trails, but they have a designated learning area called Easy Street for beginners. There is 1 magic carpet area located in Easy Street. Use this until you're ready for the chair lifts. Quick Tips Lesson: This is a private, walk-in lesson (as available) to get a few tips before you're off on your own. Check rates and book online here. Need to rent skis, snowboards, or snowshoes? They have you covered. The rental shop is located on the first floor of the lodge. Rent in full, half, or multi day packages. Check rates and book here. The snow tube park offers 4 lanes for both day and night tubing. ​Each is 700 feet long with an 85 foot vertical drop. They even offer a lift to get you back to the top. Brundage Mountain is all about the skiing. There is no lodging onsite. Most of your amenities and activities will come from your lodging choice. On the mountain you will find skiing, snowmobiling, snowshoeing, SnowCat tours, and 5 restaurant venues. Even though parking lots look full, there are usually no lift lines. Great powder, good base and lots of fun! This is Idaho skiing at it's best. Dollar Mountain is one of two mountains at Sun Valley. This one being known as a beginner mountain. Sun Valley boasts being the birth place for destination skiing. 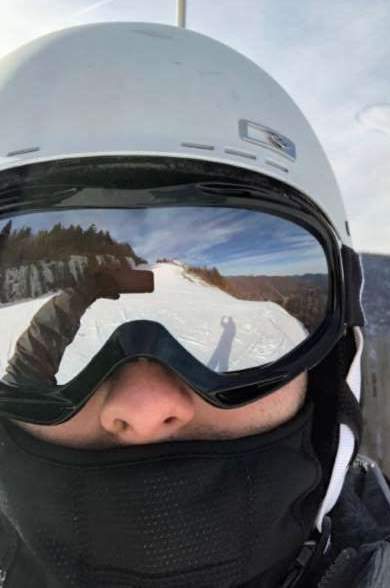 Recently they launched their "terrain that teaches" approach by developing areas near the ski school that naturally facilitate the learning process. Book early and save online with lift tickets. Stay on site and save with their kids ski free packages. They offer 11 green trails to get you started on the slopes. Two of them are groomed for teaching terrain. There is 1 magic carpet lift in the beginner area to help you get back up the slope without mastering a chair lift. Private Lessons - Tiny Tracks (ages 2-4), One-on-one or as a family. There are multiple places to pick up rentals, one of them being at the base of Dollar Mountain. Reserve a beginner package for all of your rental needs. Discounts available on multiple day packages. The tubing hill features 3 tubing lanes. ​Each is 600 feet long and they offer a lift back to the top. Tickets are discounted for anyone with a valid lift ticket. Spa Treatments: Massage, facials, body treatments, manicures, acupuncture, reiki, and cupping therapy. Fitness Center: Cardio machines, weights, and a yoga studio. The Village: Shopping & Dining in 12 venues. On Mountain Dining: 7 restaurant venues on mountain, 1 restaurant at the lodge. Other Indoor Options: Swimming, Jacuzzi, Bowling, a Movie Theater, and Ice Skating. This is a smaller mountain at Sun Valley that offers some great beginner options. Geared towards the family with a friendly staff. Slopes are wide open and perfect for learning to slide on the snow. Schweitzer Mountain Resort offers 9,200 acres of skiable terrain. They are actually ranked among the largest resorts in North America. Even though they are so large, their lift lines are basically non existent. Most of the trails here are intermediate or advanced. The reason they made the list is they offer a beginner area with discounted lift tickets and a magic carpet area with free skiing. All the perks of a big ski resort with deep savings. There are only 2 green trails on the mountain. However, they also offer a beginner areas called Musical Chairs or Musical Carpet. They have 1 magic carpet lift that offers free skiing for beginners. Ski 4 Free in 3 Package - Book a 3-day lesson package and ski for free later in the season during designated dates. Beginner Package - Comprehensive program with shape skis to help you learn faster. Private Lessons - For 1-5 people; Book 1-hour up to 1-day. Children's Lessons - Grouped by skill level for ages 4 to 12. For more details and package rates check their website. The rental shop offers basic rentals and high end demos. Regardless of your choice, they have everything you need for the day. Check out their daily rental rates here. Hermits Hollow is a smaller snow tube park. They offer 2 lanes over 300 feet long and a lift to transport you back to the top. The Activity Center: Village campfires, a theater, treasure hunts, board games, and craft projects. This mountain is a great place to learn how to ski! Even on their busiest weekend, there is plenty of space to feel that you can safely test your skills. Bogus Basin Mountain Recreation Center is located just 16 miles north of Boise. Believe it or not, they are a non-profit dedicated to providing accessible, affordable mountain recreation for the community. Not only do they have 2,600 acres of terrain to ski, they also offer the only mountain coaster in the state of Idaho. Save up to 35% on lift tickets when you book in advance online. There are 10 easy, green trails located on the mountain. There are 3 new magic carpet lifts located at the base of the mountain for beginners. To check out details and pricing check their website. Rental packages are available for both half-day and full-day as well as night skiing only. The Pepsi Gold Rush Tubing has an 800 foot long hill. Get carried back to the top by a tow. Reservations are required. Bogus Basin is all about the outdoor recreation. While there is dining on the mountain, there isn't much that's available. Your lodging may have additional activities or amenities. If the snow is good, this is the place to ski in Idaho! Bogus has the most terrain variety. You can ski all day and night and never take the same run twice. Tamarack Resort is located north of Boise in Donnelly, Idaho. Known for having more of a mom and pop feel, it is a great match for beginners. The atmosphere is a little more laid back than your traditional ski resort. Definitely worth checking them out for your first ski trip. There are 6 easy, green trails offering a variety of options for beginners. Learn to ski in the beginner area where they offer 1 magic carpet lift. Reserve your lesson in advance by phone or email. Lessons are geared more towards private lessons to allow instructors to personalize your training. Check rates, package details, and reserve online here. Tamarack offers a full service rental shop. Everything you need can be rented in half-day, full-day, or multi-day packages. There is not a snow tube park at Tamarack. It's a large mountain with a very small town feel. The mountain is never very crowded, even during peak times. It's a great place to ski.